(Nanowerk News) The degree of twisting of natural helical structures, such as the DNA double-helix, plays an essential role in many important biological functions. Because of their twisted architecture, artificial helices can facilitate the separation and the synthesis of chiral compounds—asymmetric molecules that cannot be superimposed with their mirror image. New, small spring-like polymer chains, or oligomers, from organic compounds called o-phenylenes have been created by Eisuke Ohta, Takanori Fukushima, Takuzo Aida and colleagues at RIKEN Advanced Science Institute in Wako ("Redox-responsive molecular helices with highly condensed π-clouds"). These oligomers consist of benzene rings that connect to each other at a sharp angle, leading to their helical structure. The team's oligomers can change shape and become more rigid when subjected to an electrochemical signal (Fig. 1). They could soon serve as single-molecule machines for application in molecular computers. 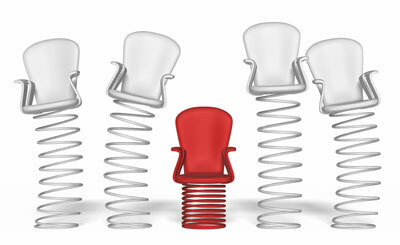 Figure 1: o-Phenylene oligomers can be envisaged as springy chairs. When oxidized (red), the molecule is contracted and less dynamic than its neutral counterparts (white). Many researchers have investigated molecules that alter their features such as color, luminescence and mode of aggregation when exposed to external stimuli. However, the stimuli-induced change in rigidity demonstrated by the RIKEN team is unprecedented and may open the door to new types of molecular switches. The researchers synthesized the o-phenylene oligomers using an iterative approach, which allowed them to gradually incorporate electrochemically sensitive units to the oligomer's backbone. Ohta explains that while trying to generate the longest o-phenylene oligomers ever synthesized, they noticed that the oligomers possessed highly condensed electron clouds and exhibited a significant reversible difference in rigidity upon removal of one electron during oxidation reactions. The helical configuration easily causes cyclization—the formation of non-helical structures— which makes the synthesis and investigation of open oligomer chains difficult. The researchers overcame this hurdle by replacing hydrogen atoms positioned at the extremities of the oligomers with so-called 'nitro functional groups'. Moreover, the octamer, which consists of eight o-phenylene units, was essential for extending the helices while preventing the cyclization, providing long oligomers of up to 48 o-phenylenes. While purifying their products, the researchers discovered that the nitro-bearing octamer underwent a 'chiral symmetry-breaking process', which produced crystals that contained helices with either a left- or right-handed twist. Furthermore, the helices rapidly switched handedness in solution. However, during oxidation these structures contracted, which slowed the switching process between the two chiral states, enhancing their lifetime. These long-lived states resemble 0 and 1 in binary code, making them attractive for optical memory storage. The researchers are currently examining the chemical and physical properties of these oligomers, which remain unexplored to date. "We want to unveil these properties now," says Ohta.